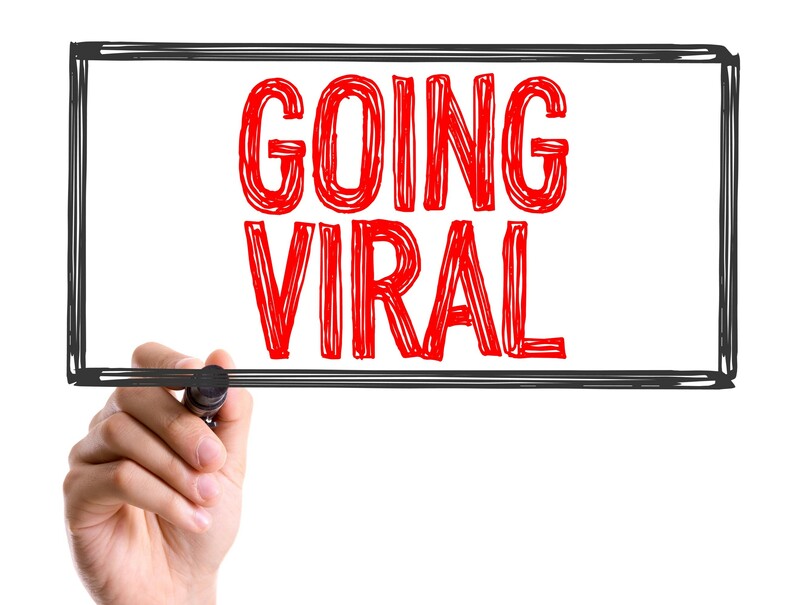 The how and why of viral content. For over a decade we’ve been living in the age of social media. Over 2.5 billion people are on social media networks worldwide and that number is rapidly growing. It’s an obvious channel and can be very powerful in creating brand awareness, particularly when others start sharing your content and campaigns go viral! What’s viral anyway? There’s no specific number that means a post is viral as it’s all relative, but if you usually get only 100 views and you suddenly get 10,000 that’s a pretty good indication! Social media creates the perfect environment for a ripple effect to occur on all levels of social media with a piece of shareable content. All it takes is a few shares with the right audience to trigger an avalanche of sharing across the internet. Why would you want to go viral? Viral content can expose you to thousands of people who may not have otherwise known about your organisation, it’s product or it’s services. This can lead to more traffic, more views, more followers, more likes, more comments and more revenue. A recent video we produced for Rare Disease Day went viral on Facebook with over 282,000 views. Originally posted on the MPS and Related Diseases Society Australia page, which usually has around 400 page likes, it’s been a great result for our client. Videos are predicted to account for 80% of digital content in the next few years so how do you make a video or other piece of media go viral? Most of the time it’s an accident but there are some things you can do to help. The first step is to know your audience as content is only effective and will only go viral if it speaks to people so that they feel an emotional connection that makes them eager to share it. The next step is to select the appropriate platform for your audience and content. The response you get from Facebook may be different to the response from Instagram. Where do you already have the best engagement with your target audience? Is that where you are most likely to get a viral response? Finally, remember that timing is key. This applies to both the length of your video and when you share it. We have a limited attention span on social media so it’s best to keep your content concise (between 15 seconds and 2 minutes) and engaging. Releasing your content when it’s most relevant is also important. The RDD video we produced was shared in the lead up to Rare Disease Day, when RDD was beginning to filter into people’s minds. We hope these tips help your next video to go viral and if you’re interested check out our Rare Disease Video around two young girls living with MPS who spent a wonderful day with the Sydney Dance Company.